In many ways, I think of Vien’s girls’ school building as an excellent example of the rich and colorful history of Williamsburg. 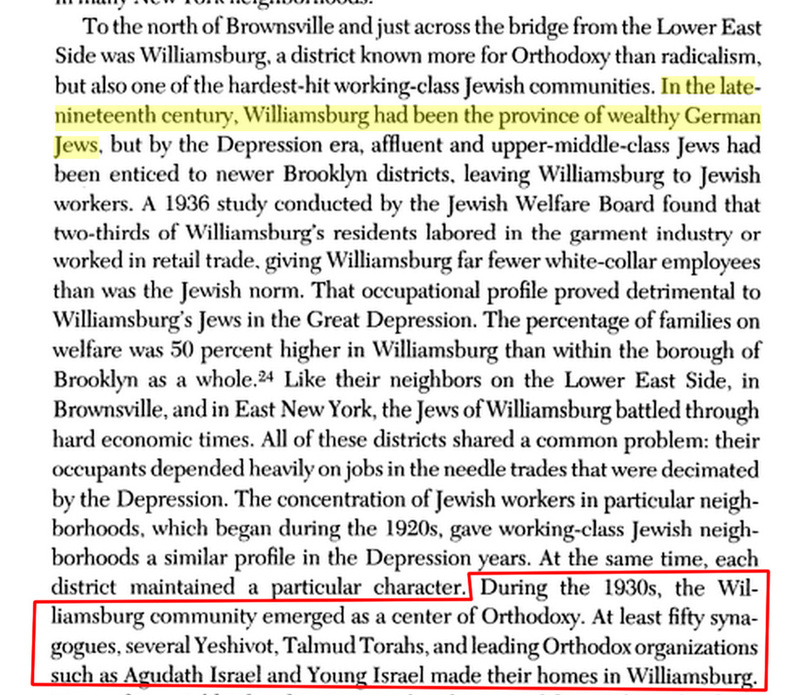 Jewish Williamsburg was influenced by three waves of Jewish immigration. Roughly: I. rich German Jews that settled in the first half of the 1800s, II. Eastern European Jews who emigrated in the years from approximately 1880 until the immigration quotas were passed in 1921 and 1924, and III. post holocaust Hasidic Jews who came to America from Nazi ravaged Europe. These groups all shaped Williamsburg and made it what it is today, but they did not successfully coexist, and instead replaced each other and built on what the previous group left. The club was organized on March 7, 1890. P. J. Lauritzen, architect, was engaged to remodel and enlarge the “Hawley house,” a brick mansion that had been the residence of Oscar Hawley, a box manufacturer, and had cost $70,000 to build. The club house formally opened on Jan 19, 1891 with over 400 members. During the club’s halcyon years around the turn of the 20th century, aces of the billiard table such as George F. Townsend and J. Byron Stark put their misspent youths to good account in closely watched tournaments. The club’s bowling alley was generously made available to the ladies during the afternoon hours, and the ladies were also allowed their own cafe, in which no man was allowed unless accompanied by a lady. No opportunity for a good dinner was missed. 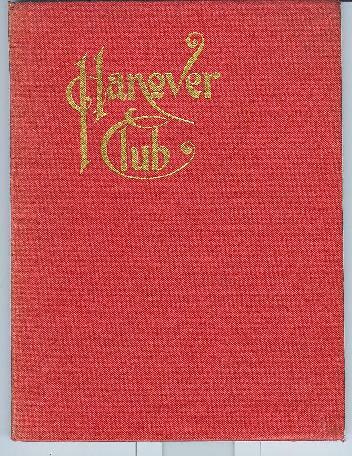 In any record I found about the Hanover Club or of the time of wealth in Williamsburg, the reader is immediately told that the Club was displaced by the next wave of Jewish migration. Eastern European Jews poured in from the Lower East Side when theWilliamsburg Bridge was built, changing the neighborhood to a crowded and poorer one. The upwardly mobile German Jews did not stay, they removed to different parts of Brooklyn and Manhattan. “To appreciate the role of the Young Israel movement in North America, one must understand the circumstances which led to its creation in 1912 and the forces and events which have influenced its subsequent development. For today’s religious Jews, the conditions under which North American Jewry lived during the early decades of this century are almost unimaginable. Because practically all jobs required work on Saturday, Shabbos observance was rare and typically required extraordinary sacrifice. Note: I’m not sure if woman is singular intentionally or in error. 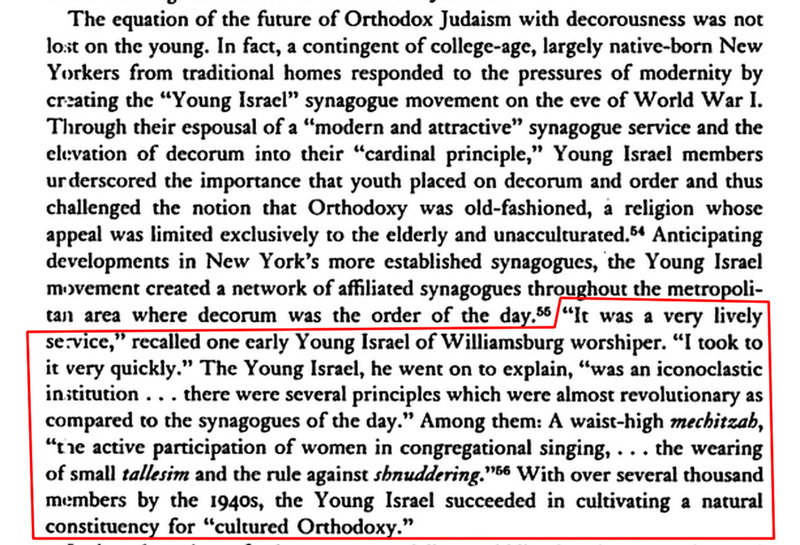 Young Israel’s presence in Williamsburg mostly dwindled when Satmar settled there after the war. 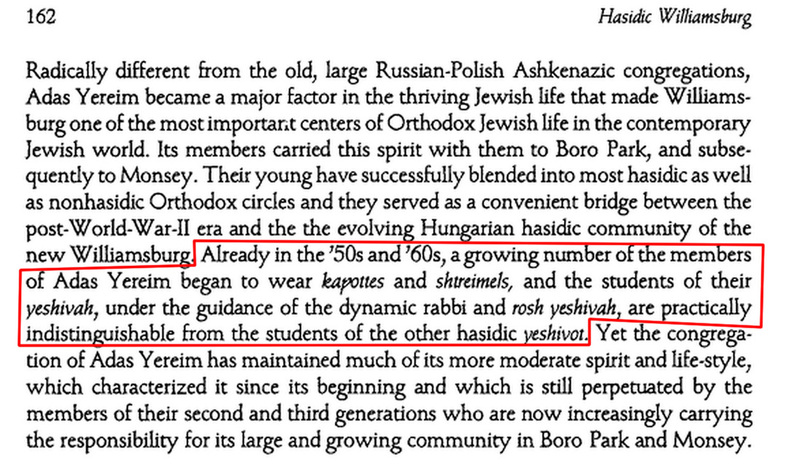 Satmar slowly changed the character of Williamsburg from Orthodox to more homogeneously Hasidic. 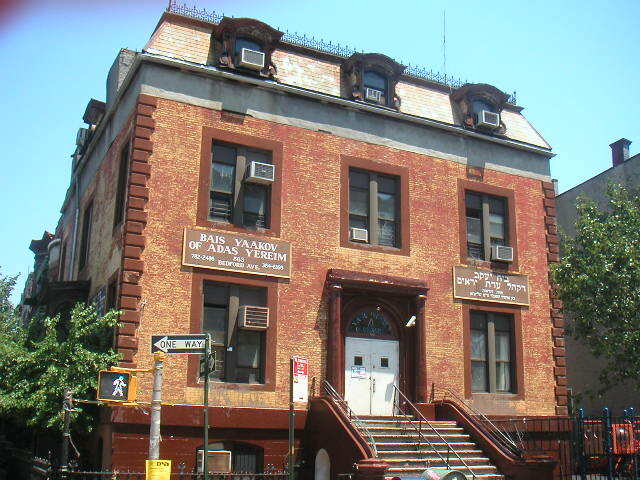 While Young Israel is no longer at this location, you can still walk to the building at Bedford Avenue corner Rodney Street and see that “Young Israel” is inscribed over its door. According to a Facebook friend Esther M. who attended this Vien girls’ school for twelve years, “The building was fascinating. I still remember when one of the floors was a pretty big synagogue (from Young Israel I assume). In our high school years we figured out how to access the attic and found newspapers and articles of clothing over 50 years old. Another friend Rose F. also attended this school and remembers best its attic, which was converted into classrooms. She also notes its beauty, as it was filled with relics of an affluent past. UPDATE: Pictures of the interior.